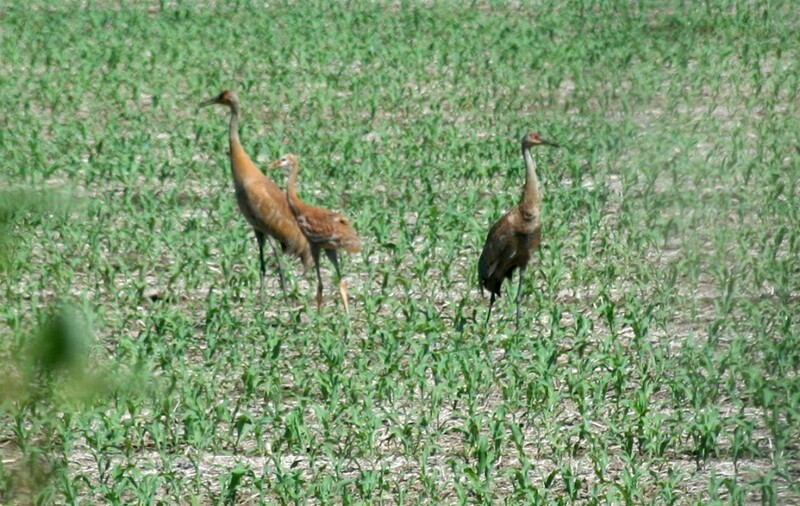 On our way out, we saw blue herons, egrets, and Canada geese… the usual suspects. As we stopped at our favorite bench, a sandhill crane passed closely overhead. A heron and an egret stay low and far away, out of reach of our long lens. 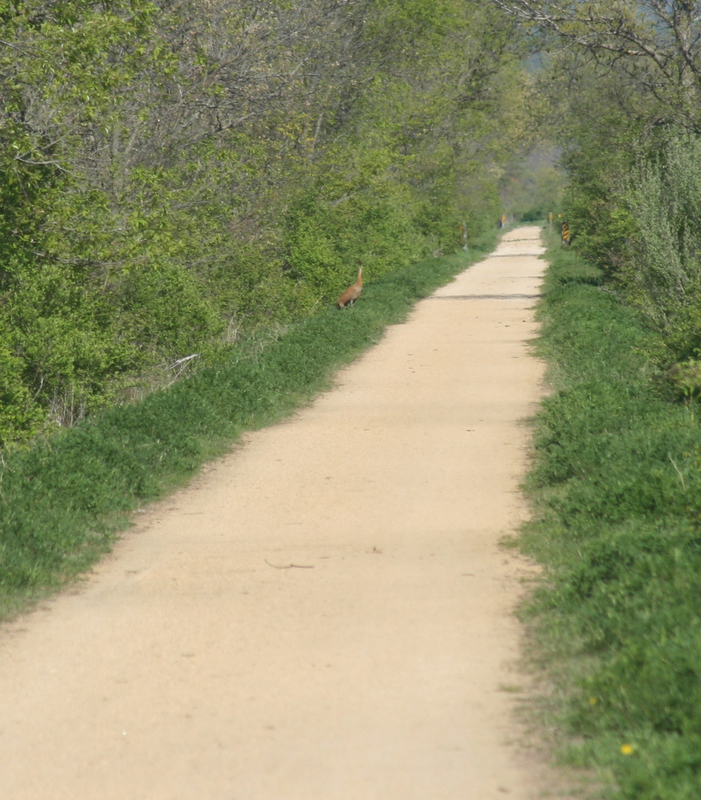 A sandhill crane alongside the bike trail suspiciously watches human activity a quarter mile away. 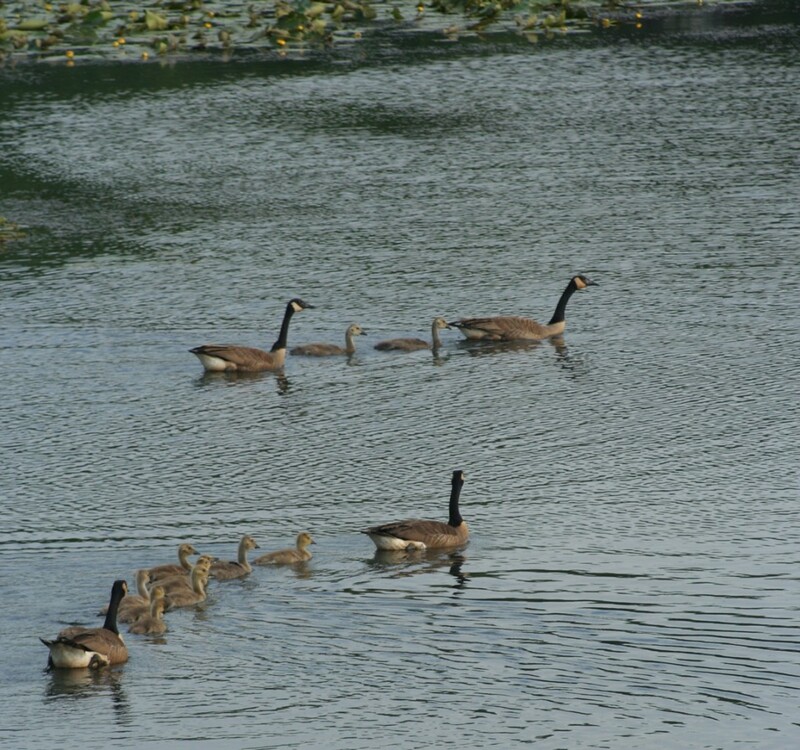 After we got on our bike for the trip home, we were greeted by geese with a group of newly hatched young. 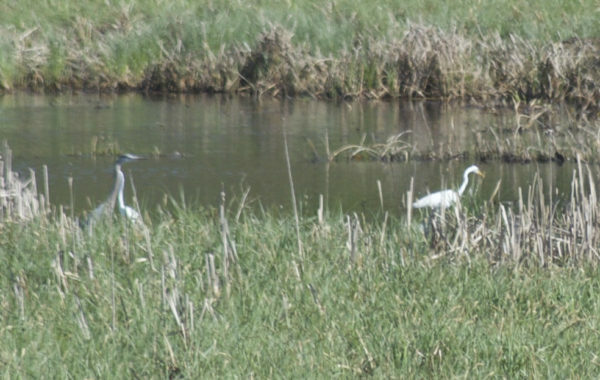 The cranes and the egrets came closer. A flock of pelicans forages for food on the La Crosse Marsh. 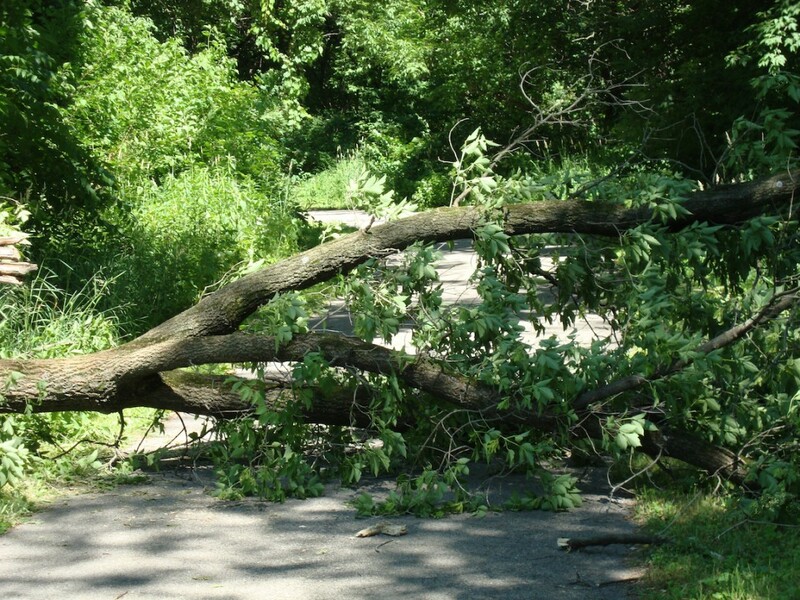 We live in an area with a lot of turtle habitat, much of which is criss-crossed by our favorite hiking and biking trails. On top of that, RoZ regards herself as a turtle person. So we seem to get a lot of turtles jumping in front of our lenses, ranging from the size of a half-dollar to the size of a substantial foot-stool. 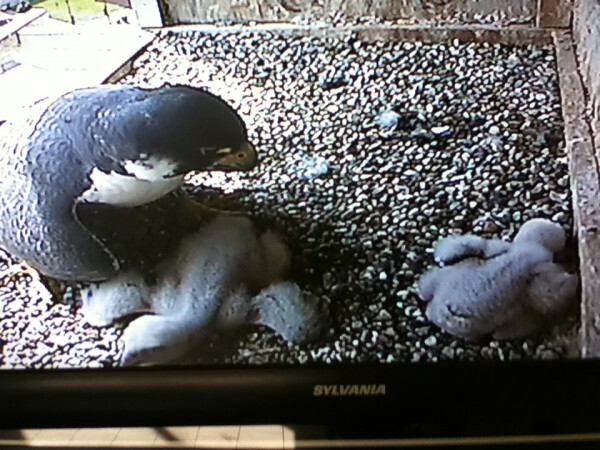 Two newly hatched peregrine falcons in a nesting box mounted to the top of the US Bank Building in downtown La Crosse, Wisconsin, are visible on a live display in the bank lobby. A bald eagle warily watches a photographer near La Crosse, Wisconsin. 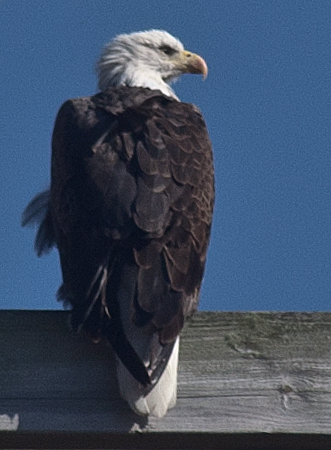 One of the special treats of living near the Mississippi River is that we share our space with bald eagles. Usually we see them in the wintertime near the river, as they like to catch fish from the open water. The eagle shown here was spotted over the marsh, along the bike trail between La Crosse and West Salem. 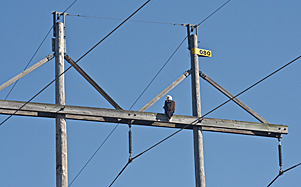 A set of high-voltage power lines run next to the trail, and the eagle was perched in one of the towers. A wide view of the eagle's perch. Too often when we get this close to a special bird, we either don’t have our best camera along, or the bird flies away before we can get it out. 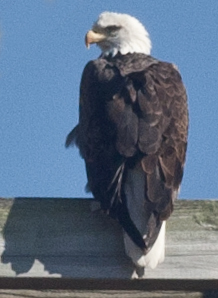 To our amazement, this bird struck some iconic eagle poses for us before flying off to look for food in some other part of the marsh, away from the paparazzi. 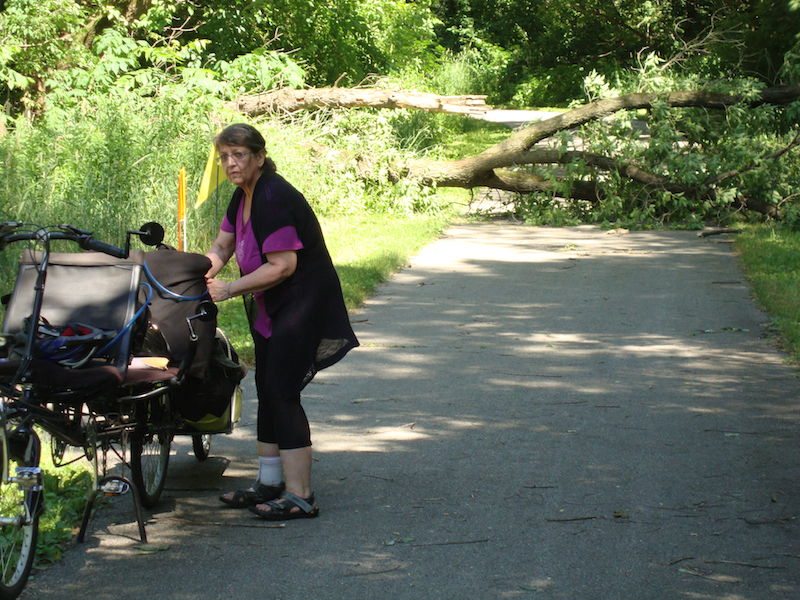 The eagle near the bike trail warily watches a photographer with his other eye. It’s time to share some pixels that finally escaped our camera today. We have a grape vine supported by a trellis in our back yard. This year, a mourning dove built her nest in the grape vines. 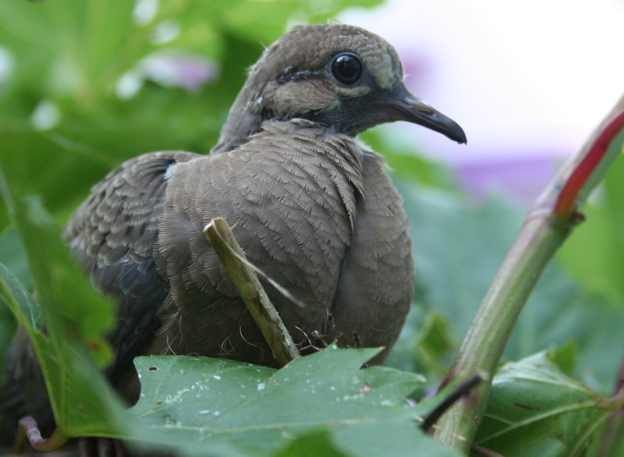 A mourning dove minds its nest, nestled in a trellis of grape vines. Today we were entertained by this woodpecker. 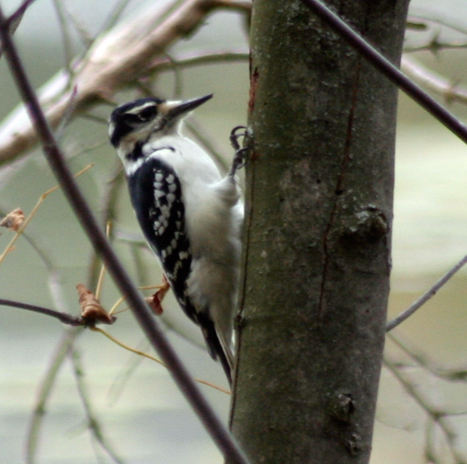 Our bird book seems to say it’s a downy woodpecker, but we’re willing to be corrected if we’re wrong. A downy woodpecker hunts for seeds on a tree near the La Crosse marsh. A red-tailed hawk stands watch above our front sidewalk. 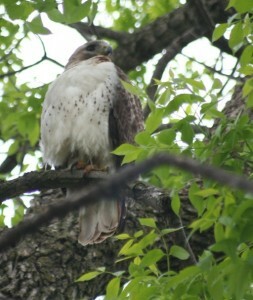 We saw a large bird in our neighbor’s maple tree 18 months ago. Today a similar bird (a red-tailed hawk, please comment if you disagree) appeared in the large tree in front of our house. 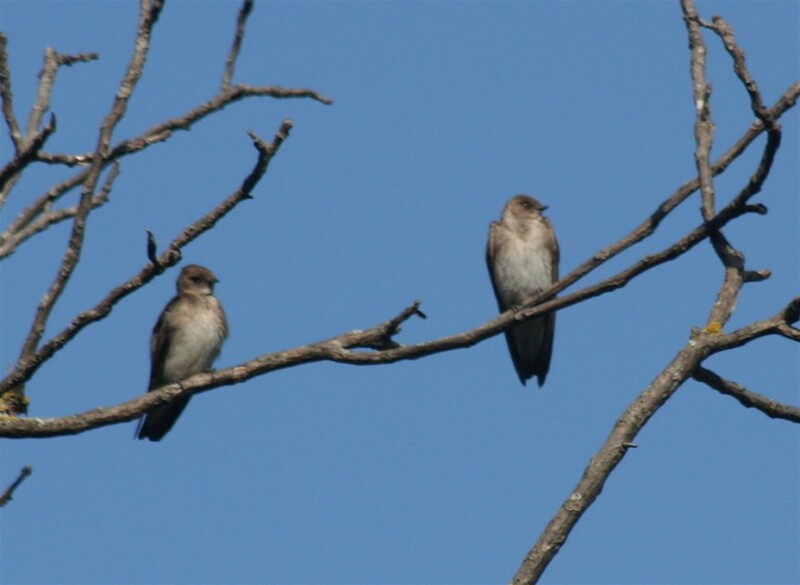 It was the robins who brought it to our attention, sounding uncharacteristically alarmed in the outer branches.